A man strikes an under-the-table deal with a surgeon to spend a few quiet seconds closer to his wife than he's ever been; a young soon-to-be mother looks on in paralyzing astonishment as her husband walks away from a twenty-year career in advertising at the urging of his spirit animal; an elderly artist risks more than he knows when he's commissioned by his newly-arrived neighbors to produce the work of a lifetime. 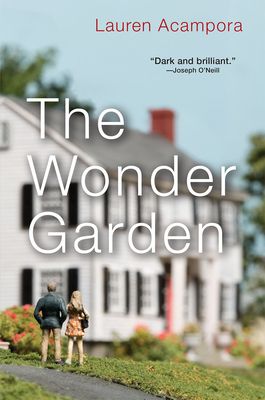 In her stunning debut collection, The Wonder Garden, Lauren Acampora brings to the page with enchanting realism the myriad lives of a suburban town and lays them bare. These linked stories take a trenchant look at the flawed people of Old Cranbury, incisive tales that reveal at each turn the unseen battles we play out behind drawn blinds, the creeping truths from which we distract ourselves, and the massive dreams we haul quietly with us and hold close. Lauren Acampora's fiction has appeared in The Paris Review, Missouri Review, Prairie Schooner, New England Review, and Antioch Review. Raised in Connecticut, she now lives in Westchester County, New York, with her husband, artist Thomas Doyle, and their daughter.